I’m currently loving these stylish ladies in white. 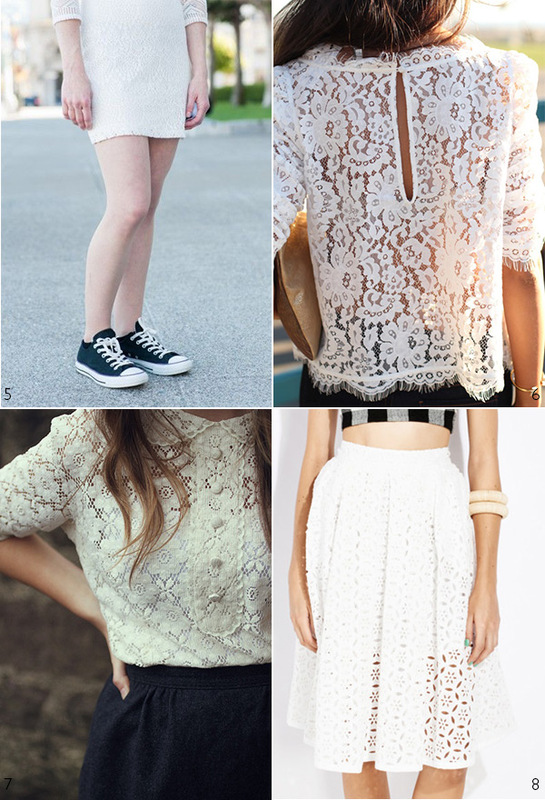 Traditionally thought of as a fabric for the more formal attire, but worn casually, mixed with denim or converse sneakers, I’m loving a little white lace for everyday and what is forecast to be a very HOT summer here, down under in Australia. Made into a slightly oversized T-shirt (worn with shorts), cute blouse with collar, a simple shift dress or gathered skirt, (You could try our free one). It has definitely caught my eye and something I’m looking to sew. Now to find the perfect fabric. Any suggestions friends? 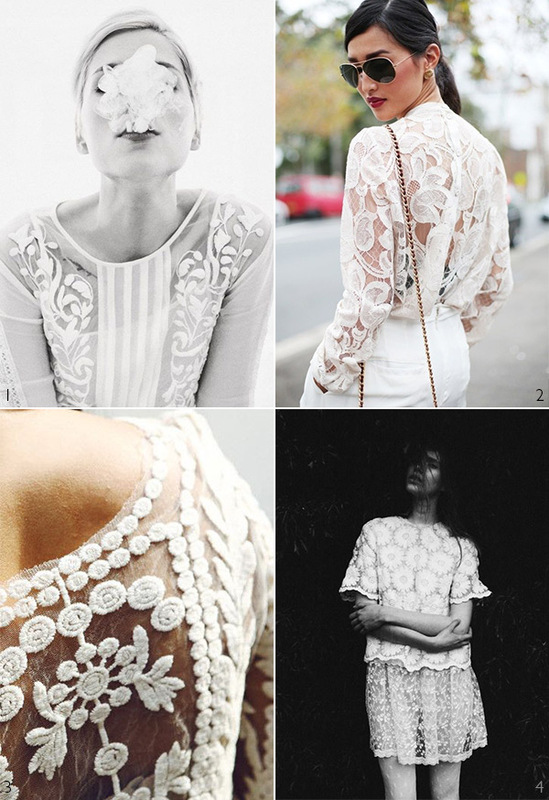 Has any one else been sewing with lace?